I’m sure there are of few of you out there that still are undecided as to what you’re going to include on your Thanksgiving menu. Fear not. Here’s a list of some fool proof, time tested and delicious options for your Thanksgiving table. 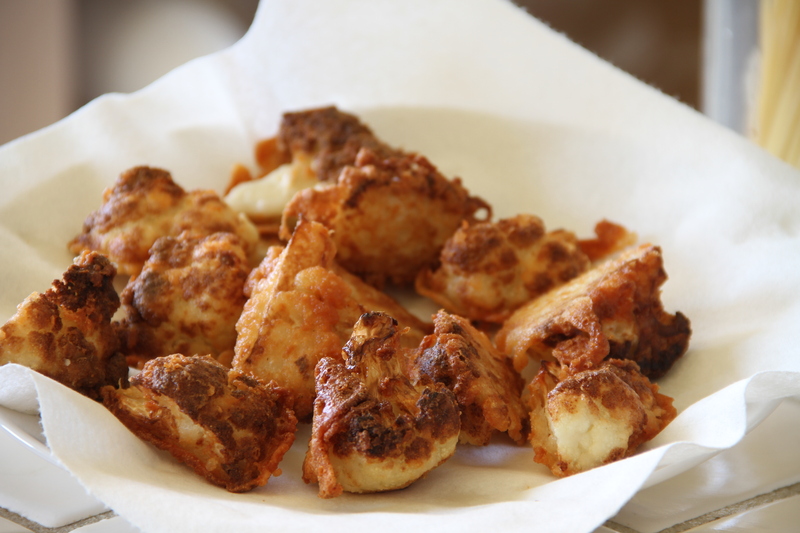 Start with this wonderful appetizer–Parmesan Fried Cauliflower. This is a real crowd pleaser. Plus it’s light, crunchy and will leave enough room in your guests’ stomachs to eat your entire feast. Of course there’s the turkey. 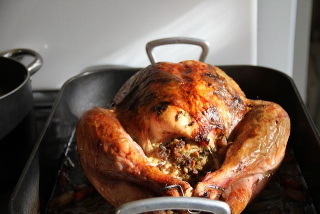 This recipe never fails to produce a moist bird. 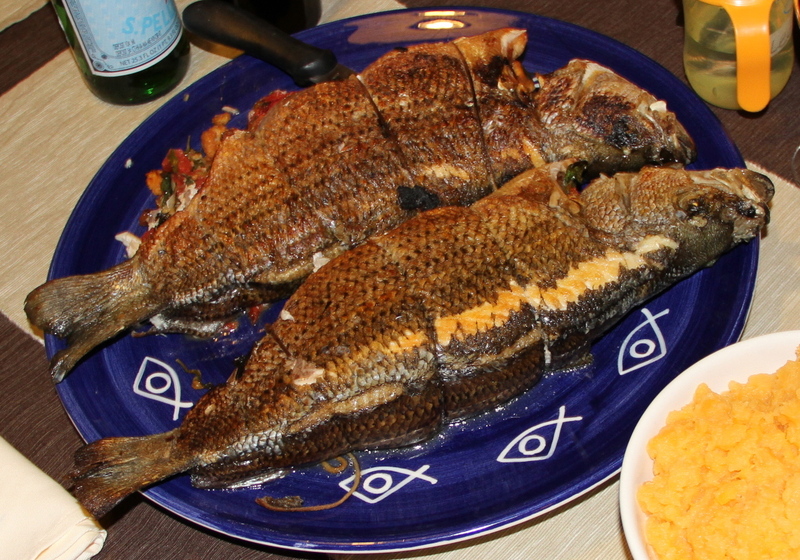 If you want to try something different striped stuffed sea bass is the answer you’re looking for. I’m not a fan of mashed potatoes. But I’m over the moon about rutabagas. 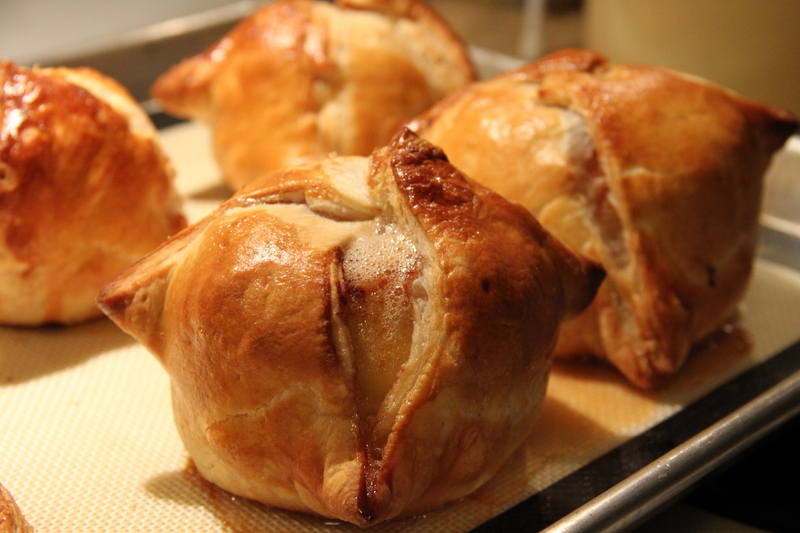 Plus you can’t get a simpler recipe than this. 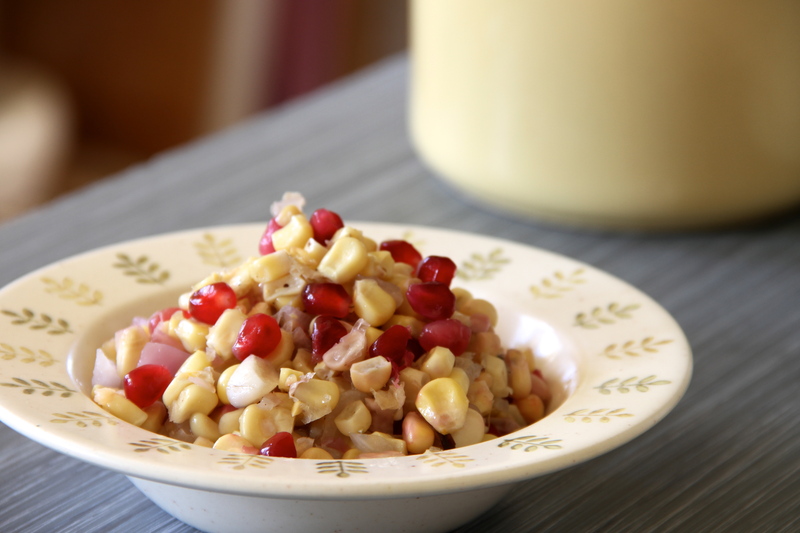 And to round out your holiday table this colorful and scrumptious side dish (easy, easy) of corn and pomegranate will do the trick. If you’re looking for an alternative to apple and pumpkin pies please consider these two options: Melt In Your Mouth Chocolate Tart. Hope these ideas help. Remember Thanksgiving is THE holiday to thank the people you love. Have a wonderfully delicious holiday. Girl, you know how to rock Thanksgiving! I love mashed turnips, but I now want to try rutabagas. Thanks for checking me out. Must get together when I return. Have a great holiday. Judy, great ideas. I think I will be making your cauliflower this year. Happy Holidays! Thanks so much for checking the post out. Fried cauliflower is great. Have a great Thanksgiving. 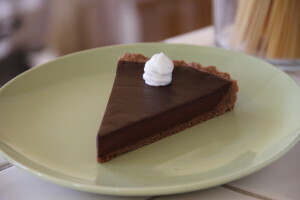 Great recipe round-up. I love you stuffing recipe and your stuffed pumpkin presentation is a show-stopper. Happy Thanksgiving! So many great ideas in here. 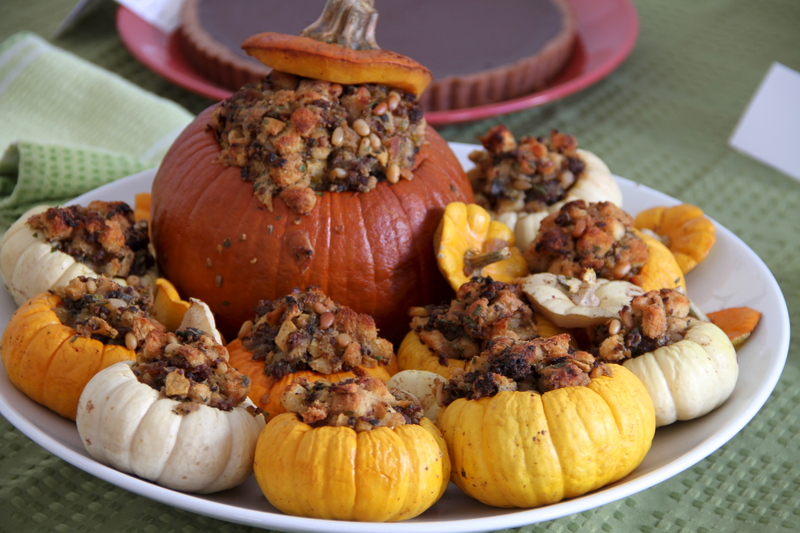 Love those little stuffed pumpkins!